Victoria’s landscape is second to none, from the rugged coastline of the Great Ocean Road to the rolling peaks and fresh alpine air of the High Country, from the Warburton Valley’s towering redwoods to the pristine beaches and lichen-covered boulders of Wilsons Promontory National Park. You can explore the breadth of these stunning landscapes, meet colourful locals and discover playful wildlife with Victoria in Photos. 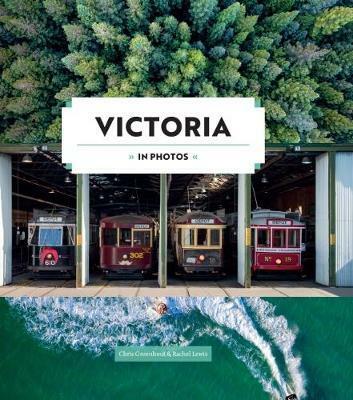 This book is a celebration of Victoria’s many `faces' - both iconic places and hidden gems. See the state through travel photographers' eyes, and appreciate why Victoria is a state worth exploring.